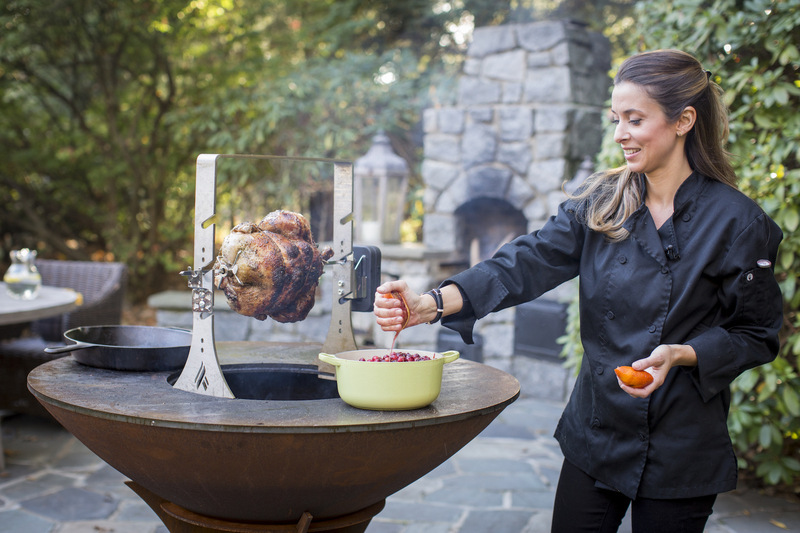 Come gather around the flame to cook the most delicious Blood Orange Cranberry Sauce in a dutch oven on the Arteflame grill! You will want to eat this with everything on your Thanksgiving plate... and all year round! 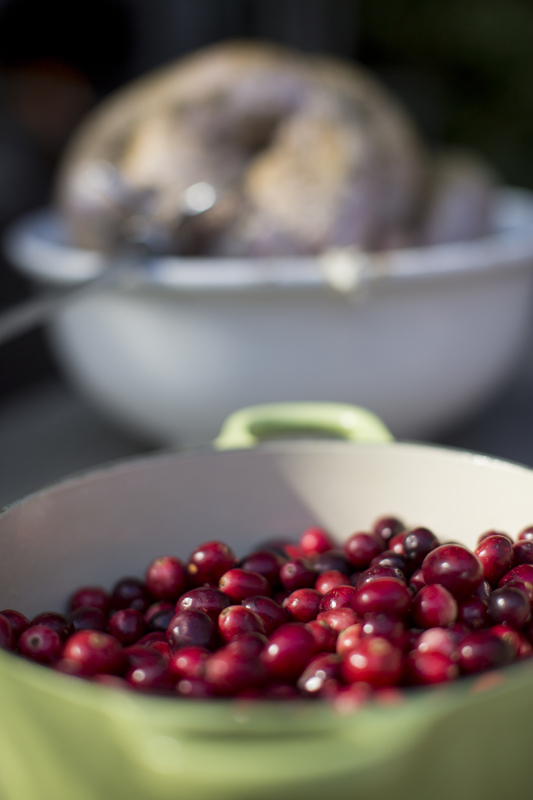 Place the dutch oven on a medium-hot part of the Artflame.Pour in the can/box of cranberry sauce and mix in the fresh cranberries. Zest the blood orange into pot. Cut orange in half and squeeze juice into pot through fingers to ensure no seeds fall in.Stir in sugar, spices and cinnamon stick until completely incorporated.Cover and let come to a boil. Stir every 5 minutes for 20 minutes or until most of the cranberries have "popped". Grilled Latkes and Applesauce on the One Series 30"